Today a #NoDAPL prayer and healing march left Oceti Sakowin Camp along the disputed Highway 1806 where it stopped before the burned out carcasses of multiple vehicles blocking the bridge. To the North are multiple armored Humvees and a militarized police force. Beyond them is the Dakota Access Pipeline under construction. To the South is the Standing Rock Sioux Tribe Reservation. 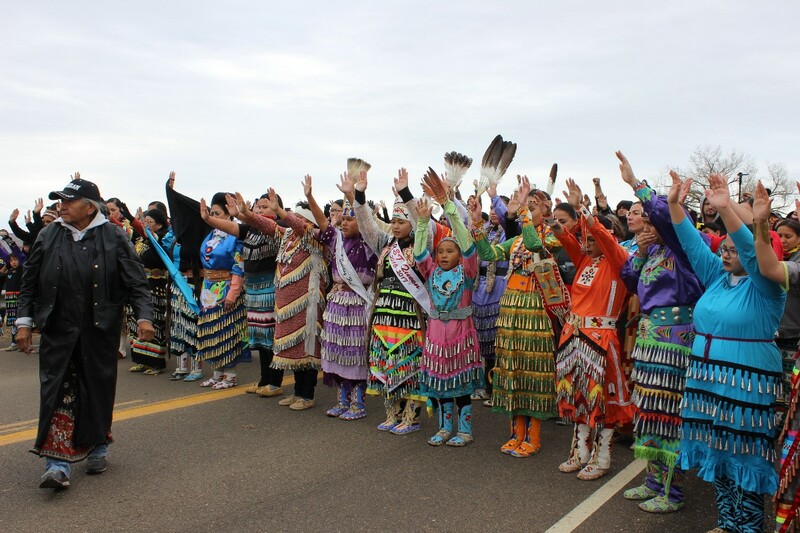 In between, the women led a Jingle Dress healing prayer dance. It was beautiful beyond words.